de KLAVER DESIGN provides innovative creative direction, product design, web design + development and small business consulting using a sophisticated 360 focused approach with careful attention paid to the visual experience. de KLAVER DESIGN is led by Jennifer de Klaver who has over 20 years experience in creative direction, product development, and online experience. Currently, de Klaver is VP Creative Director for INDIGO (chain of 200 lifestyle / bookstores in Canada). Managing 40+ art directors, designers, copywriters, and project managers in a multi-channel environment to articulate, develop, and execute creative direction for brand. Responsible for photography, video, campaigns, store graphics (including revamping 20 stores in less than a year), digital content, packaging + product development. In 2013 de Klaver founded BELLA J, a lifestyle beauty / gift brand of over 25 products that are sold online, at Nordstrom and various boutiques which sold to Almar in 2017. Previously, de Klaver worked as VP of Creative Services for WEST ELM and as Creative Director for JOE FRESH where she led brand strategy, built creative teams and provided direction for catalogs, website, packaging and social media. 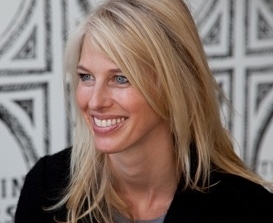 Jennifer was also a Creative Manager with TARGET CORP where she led a team on designer collaborations, large campaigns, casting in NYC and LA and was a member of the BIG IDEA team, driving innovative marketing solutions.